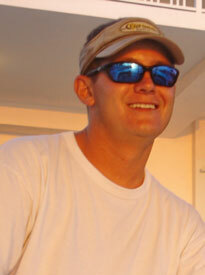 This website is dedicated to the life and memory of Ian Merritt Boswell, who left this world too young, too soon. 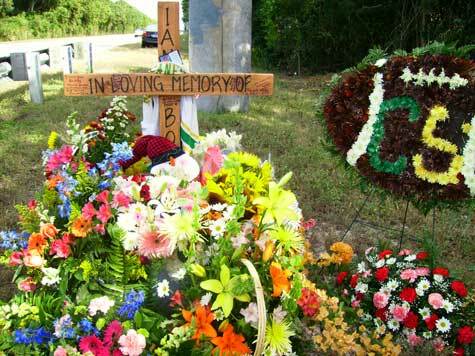 Ian died as a result of injuries sustained in a motor vehicle accident near his home in the Florida Keys, on Christmas Eve, 2007. Ian was twenty-four years old. He left behind a small, furry, four-legged bundle of joy named Jager, a lifetime of unfulfilled hopes and dreams, and a wealth of stories and treasured memories which will live on in the hearts of those who love him. When Eric Clapton lost his four-year-old son Conor, he somehow found the strength to write Tears in Heaven, to help him heal. And so it goes, when you lose a child; there is the need for peace, and hope for a healing you know will never come. At best, a song, or in this case a website, can bring some small measure of comfort; a softening of the pain; and the opportunity to continue to share the life and memory of that child with others. This website officially debuted September 18th, 2010, in memory and celebration of Ian's 27th birthday. We hope that you will watch the video, and join us in celebrating his life and memory. It will continue to be a work in progress throughout the duration of our lives. It is our intention to build upon it regularly, adding pictures and stories which more or less follow the chronology of Ian's life, so we hope you'll check back often. As always, we continue to find comfort in our faith in our Lord Jesus Christ, and through the love and support of family, friends, and often perfect strangers who have suffered a similar loss, and who were placed in our lives when we needed them most.